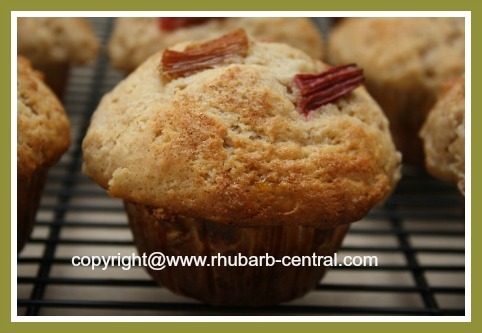 This Homemade Cinnamon Rhubarb Muffin Recipe can be used for making rhubarb muffins with frozen rhubarb or fresh rhubarb. 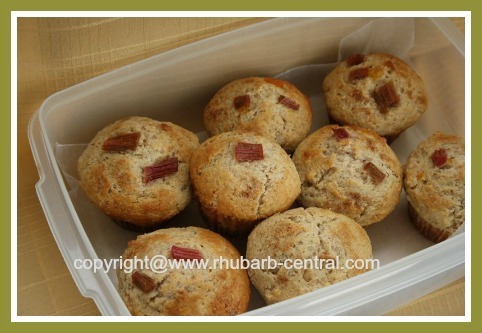 These simple muffins are a scrumptious choice for breakfast or snack time! 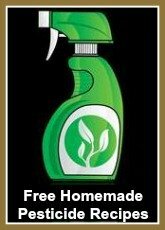 In a bowl, whisk together the flour, 1/2 cup of sugar, baking powder, 1 tsp. of cinnamon and the salt. Combine the egg, buttermilk and butter, and stir into the dry ingredients just until moistened. Be careful not to over-mix. Over-mixing will cause the muffins to be "tough". Spoon 1 generous tbsp. of batter into nine greased or paper-lined muffin cups. Combine the rhubarb and the peach (or apricot) jam in a small bowl or a cup. Spoon 1 generous tbsp. 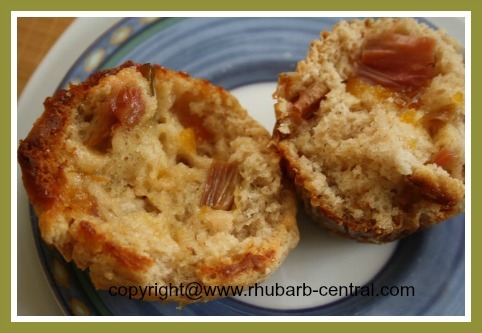 of the rhubarb/peach jam mixture in the center of each muffin cup, but do not spread. Top with remaining muffin batter. 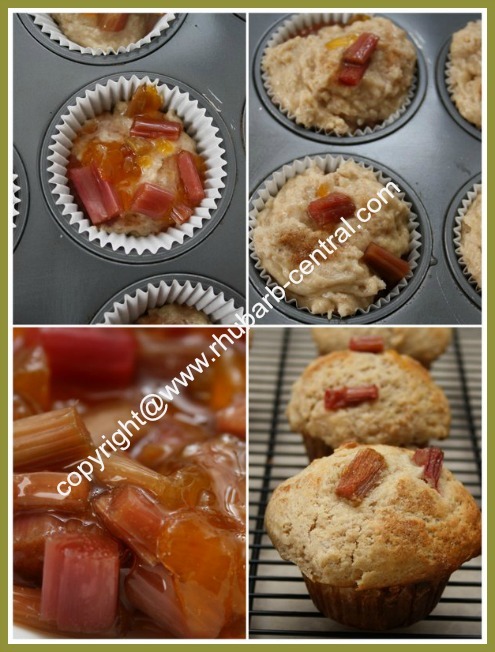 If desired, add a few pieces of the rhubarb/jam mixture on top of the batter. Combine the remaining sugar and cinnamon, and sprinkle over top of muffins. Bake at 400° for 20 minutes or until done. 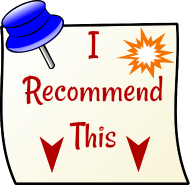 (I like to turn the oven on "broil" for a couple of minutes to brown the muffin tops a little more - but watch them ... they will burn very quickly on the "broil" setting). Makes about 9 small-medium OR 6 large, delicious muffins. 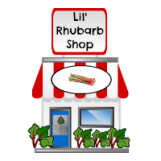 Did you know that it is best to remove the flower stalk from rhubarb plants when they appear? It is tempting to leave the rhubarb flower to grow to seed, however, doing so would allow the plant to spend it's energy in producing seed rather than use the energy to produce the best leaf stalks. 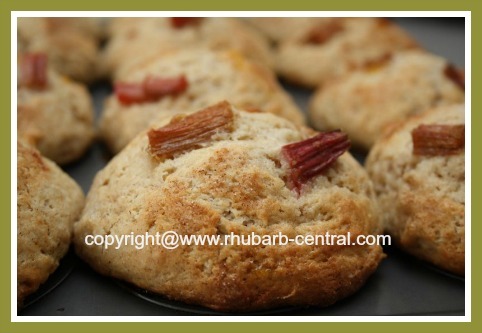 Check out the link below and see what Helen did with her beautiful rhubarb flowers!